Dr Julian Naidoo is the Chief of Party and is responsible for the overall implementation and governance of the TIMS Programme. Julian has extensive experience in the health sector, managing complex and multi-country programmes. He has worked in several settings including government, the private sector, development partners and academia. Julian holds several academic qualifications including masters and doctorate degrees in economics with concentrations in econometrics and health economics. Before joining the TIMS programme, he managed a number of commercial enterprises and was the health sector lead partner for one of the big four consulting firms. Through this innovative programme, he hopes to make a meaningful regional impact on TB in the mining sector and to improve the lives of key affected populations. Dr Riedawaan Pillay is the Deputy Chief-of-Party of the TIMS programme. He has worked for a large diversified mining group as Vice President of Health Safety and Environment. He also worked as an independent consultant (to mining industry) on health policy, strategy and process. Riedawaan is a medical doctor with postgraduate qualifications in Occupational Health and Business Management. In 2002 he was the Occupational Medicine practitioner of the year (NOSA). Riedawaan has developed and implemented an exposure reduction strategy for a global mining company, he has also chaired the International Manganese Institute (IMnI) Health and Safety committee. For Riedawaan TIMS is an opportunity change from a narrow focus of a single company’s health programme to a broader focus on changing the course of a public health crisis. He says that the TB prevalence in sub-Saharan Africa remains at epidemic proportions for more than a 100 years. The TIMS programme is an opportunity to make a dent in that and change the future of mine workers. Annette Ching’andu is a Monitoring and Evaluation Coordinator on the TIMS programme. Prior to joining TIMS, she served as a Monitoring and Evaluation Specialist at Habitat for Humanity International’s Regional Office, where she focused on setting up and implementing M&E systems on a project implemented in Ghana, Kenya, and Uganda. Annette holds a Bachelor’s degree in Demography from the University of Zambia, as well as a Maters in Public Health, focused on Maternal and Child Health from Witwatersrand University. Annette feels that TIMS is an opportunity to put a dent into the massive cost that TB and HIV have had on some of the most vulnerable and disempowered members of our society. Ben Allen is the Risk and Compliance manager on the TIMS programme. He has been a Risk and Internal Audit Manager with Wits Health Consortium since 2011. Ben has extensive banking sector experience and holds a B-Tec in Credit Management and is currently completing an M-Tech in Business Administration at UNISA. For Ben TB in Mining is a critical health issue and he is honoured to assist and to contribute to capacity building of the financial and operational processes that will be implemented across country borders. These processes are developed to be sustainable and will assist in the health challenges that Africa currently faces. Bright Chiranga is the Senior Grants Manager on the TIMS programme. A development finance practitioner, he has worked in corporate economic and social development settings practicing financial and grants management, contracts and compliance management, capacity building, program management, resource mobilization, operations and procurement support for the country and regional programs funded by multilateral and bilateral institutions working in economic development and public health spheres. His extensive short – term country visits and long - term assignments working in projects with a regional footprint have provided him with broad field experience working with governments and non-governmental organizations at regional, national, and sub-national levels in Southern Africa countries and the Netherlands. A major career highlight was working as a Regional Capacity Building Advisor – Financial & Grants Management under a regional matrix implementation of USAID/PEPFAR and Global Fund grants. He holds a Bachelor of Business Studies (Finance & Banking) Honors. Degree (University of Zimbabwe) and a post – graduate Certificate in Credit Risk Management from the Management Development Unit, (University of Zimbabwe). Currently, he is studying for a Master of Philosophy degree in Development Finance with the University of Stellenbosch Business School in South Africa. He has received extensive training in donor funds and program management for Federal Awards and Global Fund. Through performing sound program and fund management under TIMS, he seeks to ingrain a culture amongst implementing partners that values cost efficiency and value for money through maximizing impact at the least cost possible thereby creating a compelling investment case for continued investment in the fight against TB. Eric Smith is the Financial Manager of the TIMS Programme. He has vast experience in the donor-funded sector, having worked in numerous countries including active war zones. 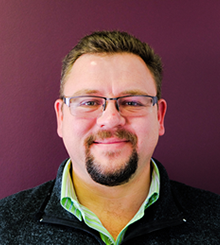 Eric is a qualified Chartered Account (South Africa), with a BCom Accounting, BCopmt Honours in Accounting and a Post Graduate Diploma in Integrated Reporting. Before joining TIMS he worked for Sustainability Solutions, and Ernst and Young as an auditor. Through the TIMS programme, he hopes that the project will benefit the lives of miners, ex-miners, their families and the affected communities and that the TIMS programme will bring about long-term change in TB treatment in Southern Africa. Lovemore Tinarwo is a Monitoring and Evaluation Coordinator on the TIMS programme. He has over 17 years of experience in Monitoring and Evaluation of Public Sector and Health programs in Southern and West Africa. He co-authored a Monitoring and Evaluation Manual. Lovemore held Senior Management positions with International Non-Governmental organisations that include The African Capacity Building Foundation, Catholic Relief Services Southern Alliance for Indigenous Resources and Zimbabwe Trust. He also worked for The Embassy of Canada in Harare, Zimbabwe. He holds a Master of Public Management degree, and a Postgraduate Diploma in Public Administration from Potsdam University, Germany. From the University of Zimbabwe, he graduated with a Bachelor of Arts and a Post Graduate Diploma in Project Management. Presently, Lovemore is also a member of the Institute of Directors in Southern Africa. He will strive that all decisions by the TIMS program will be evidence based. Mamonyooe Ramahlele is the office manager on the TIMS programme. Before joining the team she was a Project Coordinator for the WITS Centre for Rural Health. Mamonyooe has a B-Tech Degree in Project Management and a Degree in Marketing from the Central University of Technology in Bloemfontein. She has always had an interest in project management but working on projects that deal with public health issues, most notably HIV/AIDS and TB has been the highlight of her career. For Mamonyooe TIMS is an opportunity to be part of a team that will contribute to bringing a positive health change in the lives of miners and their families.